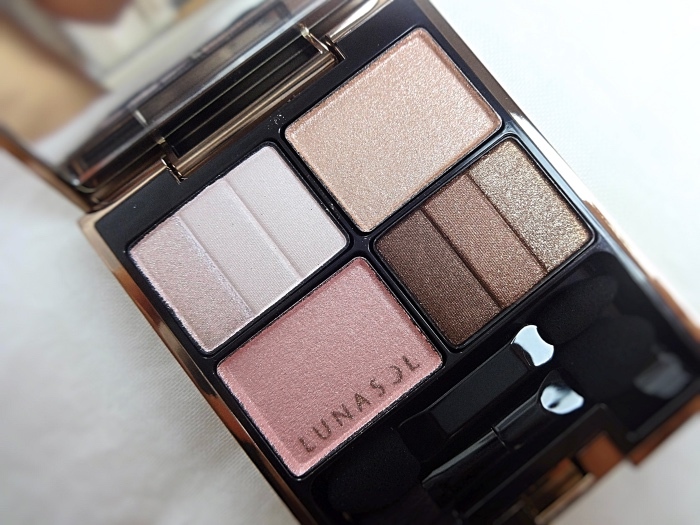 This is the latest addition to my Lunasol eyeshadow collection. Three-Dimensional Eyes were introduced many years ago, but 01 Neutral Beige and 02 Soft Beige are still in production. I got 03 Mysterious Beige first and fell in love with it (this has a lavender accent color and shall be reviewed soon). Soft Beige initially escaped my radar because I usually go for something a bit more dramatic. Later on, I convinced myself that I did not have anything "pink" in my eyeshadow collection and decided to get one more Lunasol palette. 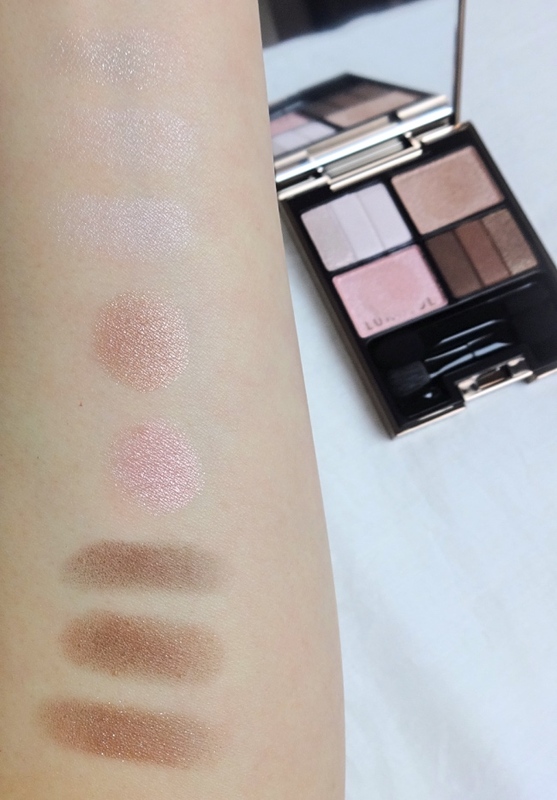 The jury is still out on whether I really didn't have any pink themed eyeshadow palette or not, but Lunasol Soft Beige is undoubtedly an excellent neutral palette with a feminine touch. This is essentially a beige quad that I believe is universally flattering. 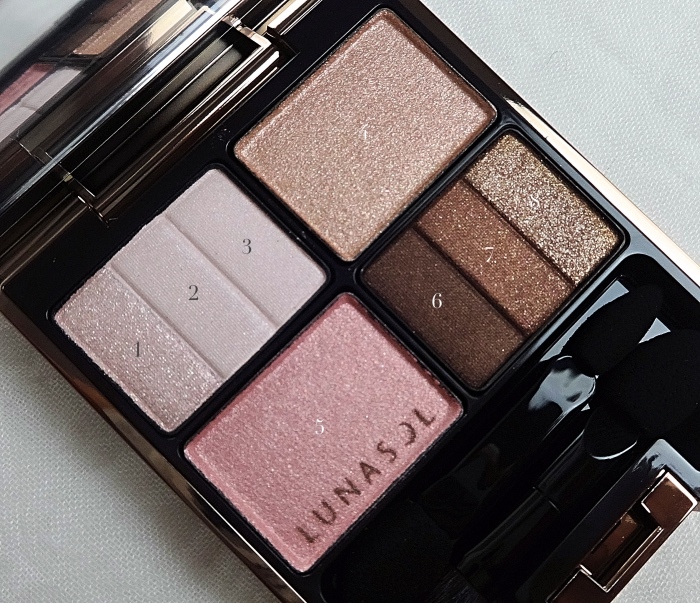 The signature silky finish and iridescent shimmer of Lunasol eyeshadows are at its best here, and I really like that it includes at least one dark shade that can be used as a soft liner. The pinkish beige and the light pink accent color are creamy and gorgeous. I forgot to take a close-up of the eye makeup but ended up with two different overall looks - one taken under indirect natural light and the other under softbox lighting. 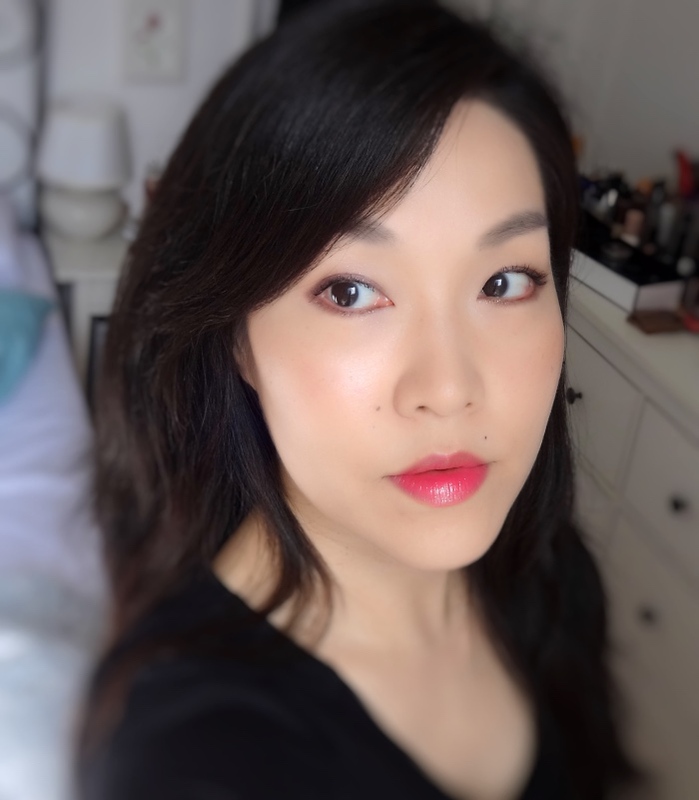 I am also wearing Becca Prismatic Amethyst (reviewed), Cargo Blush Louisiana (reviewed), and Revlon Moisture Stain in Rio Rush (discontinued but still avail). I never thought I would enjoy something like Lunasol Soft Beige. I mean, I've always thought eye makeup should make a statement and this looks so benign and almost boring, doesn't it? Yet, there is something about Soft Beige that excites me. So, now I have six Lunasol eyeshadow palettes and will probably stop collecting more. For some reason, the recent releases haven't made my heart sing although I have secretly wanted Chocolat Raisin after reading Belly's review. Maybe it is too similar to my Chanel Mystic Eyes Quad (reviewed). Any word of wisdom (or comparison)? An excellent neutral palette with a feminine touch couldn't be a more perfect description of this palette! 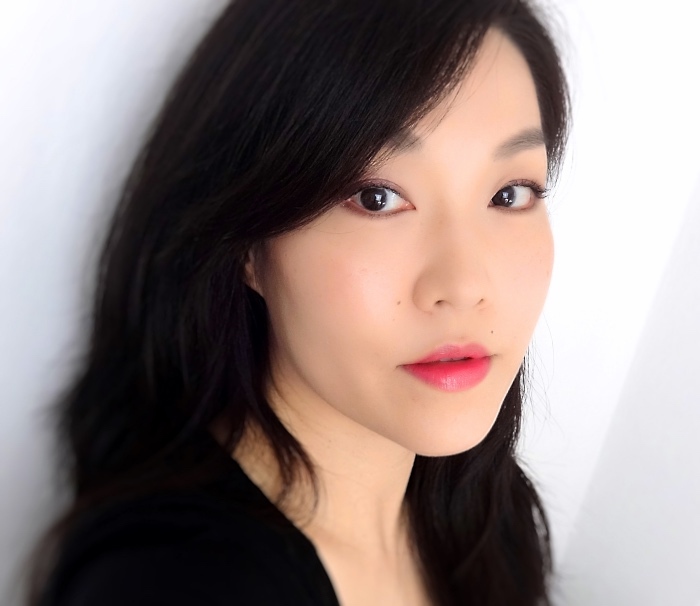 I think the fact that the colors are so flattering and easy to wear is quite exciting in itself LOL ;D I hadn't actually heard of Lunasol brand before you introduced it here. Have an excellent new week Lena!!! I think the Three-Dimensional series is one of the better ones from Lunasol. Cool Beige is totally beautiful and I think I would like it better than Icy Glow which I have. I definitely like soft beige on you. It is understated, but really lovely. I'm all about versatile neutrals and this exudes such feminine, modern charm! You look so fresh faced with this! This is one of their best selling palettes and I have been wondering if I should get it (I have way too many already not to mention I always stick to the same few. Oh, I have my eyes on summer quints as well)...Let's hope it doesn't become hard to find all of a sudden.